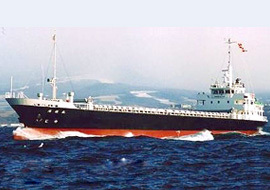 We have delivered various vessels, including bulk carriers, ferrys, Ro/Ro carriers, Japan Coast Guard's vessel and industrial vessels to the world. 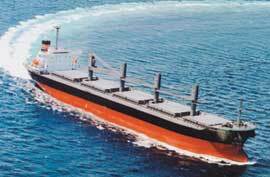 Currently, we are active in the successive production of handy-size bulk carriers, so called " Super Handy 32 ". 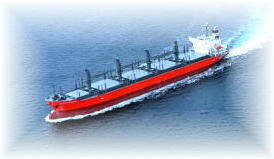 "Super Handy 32" ,the new design 32,000DWT log/bulk carrier, has wide breadth, shallow draft and box shaped cargo holds. 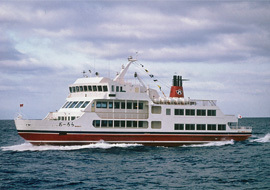 Car Ferry with one engine and two propulsions. 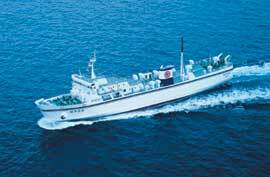 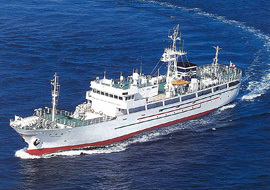 Founded in 1935, Narazaki Shipbuilding has been building fishing boats (domestic and international), government ships, sight-seeing/leisure ships, specialty ships and various other types. 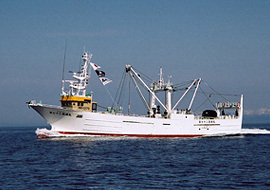 Over their 73-year history, they have built over 1,200 vessels. 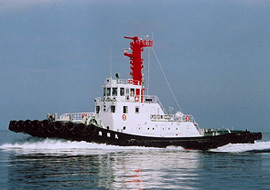 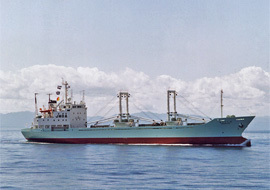 On January 1st, 2009, Narazaki Shipbuilding was acquired by and merged into The Hakodate Dock Co., Ltd. 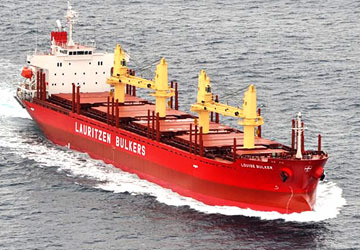 The synergy between their vast knowledge and technical skill in small shipbuilding and our knowledge and experience with bigger vessels and ship repair will allow us to better meet the needs of the market and our clients.